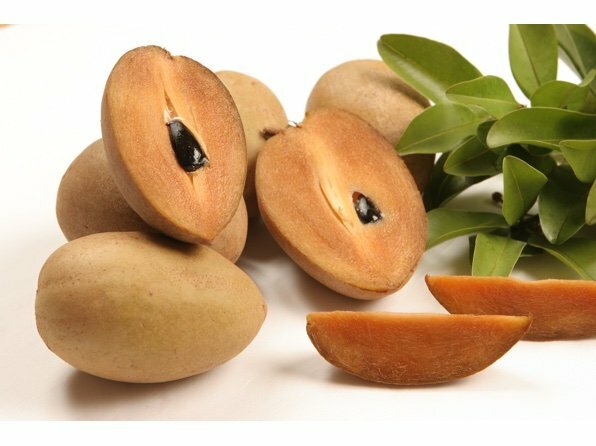 'ALANO' IS AN OVAL-SHAPED FRUIT NATIVE TO THAILAND, AND IT IS ARGUABLY THE FINEST SAPODILLA IN THE WORLD. THE FRUIT IS SUPER SWEET AND THE TEXTURE IS THAT OF AN ULTRA FINE PEAR. THE TREES ARE REGULAR HEAVY PRODUCERS OF MEDIUM SIZED FRUIT TYPICALLY WEIGHING ABOUT NINE OUNCES. IN ADDITION TO THE FRUIT'S SUPERIOR QUALITY, THE TREE TENDS TO BE LESS BRITTLE AND HAVE A MUCH SMALLER HABIT THAN OTHER CULTIVARS. THE FRUIT RIPENS FROM NOVEMBER TO JUNE.